The Chairperson, Seaport Terminal Operators Association of Nigeria (STOAN), Princess Haastrup, has explained the cause of Apapa road gridlock. She said the current reduction in traffic was not due to any deliberate government action, but as a result of a drop in importation. In a statement, she urged the Federal and Lagos State governments to use the period of a drop in importation activities to fix the road. The STOAN Chairperson urged government to effect necessary repairs on the road by the end of January 2018, before importation activities would likely begin. She added that a drop in traffic would lead to less cargo and less volume of work for the port, especially in the first quarter of 2018. “Some of the reasons for the gridlock are that there is a proliferation of petroleum tankers due to the preponderance of fuel tank farms and petroleum deposits in the Apapa community. “This is an anomaly, which should urgently be corrected by the Federal Government. The correction becomes necessary to facilitate the distribution of petroleum products through pipelines, and not by trucks. “Also, once government could get the refineries working, there would no longer be need for tank farms in Apapa, which is the attraction for these trucks. Haastrup stressed that the gridlock has been further compounded by the dilapidated state of roads leading in and out of Apapa, as well as the absence of truck parks. She urged the government to address these challenges by taking advantage of the off-peak season to intensify road rehabilitation. She also stressed the need for relevant provision to be made for truck holding bays before the next cycle of high level activities sets in. 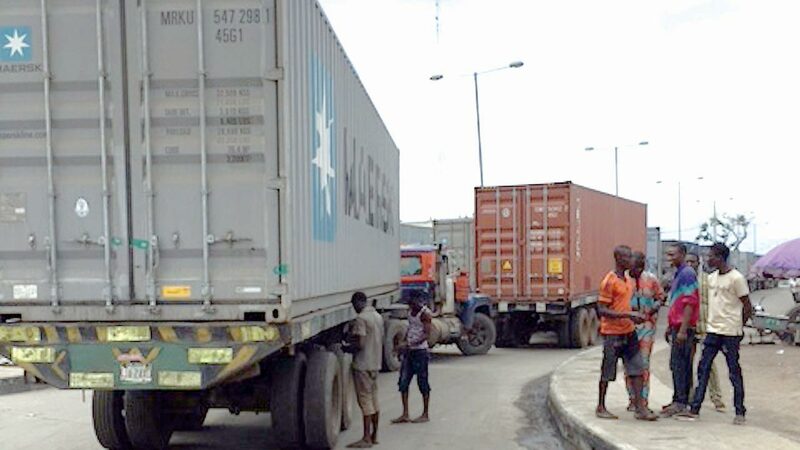 Haastrup urged the government to also use the opportunity to begin the implementation of truck call-up system to ensure that only trucks that have business at the port are granted access into Apapa. She enjoined the Federal Government to review its tariff policy on some imported items including vehicles, rice and fish to reduce smuggling. The STOAN chairman also said the nation’s seaports have been positioned to support the Federal Government’s economic diversification and export drive. According to her: “Terminal operators across the various ports have made substantial investments in their areas of operations. “We have carried out major investments in terminal upgrades, acquisition of modern cargo handling equipment and training of port workers. All of these were done with a view to supporting government’s economic aspirations.